Great price for those who want proven quality, function, and performance. From Anonymous of Tacoma, Washington on 2/8/2018 . This is exactly what it said it was. 5XL is hard to find in the area, it shipped really fast. It's warmer for the cooler weather than the mesh vests. From Rania Edington of Indianapolis, Indiana on 5/17/2017 . 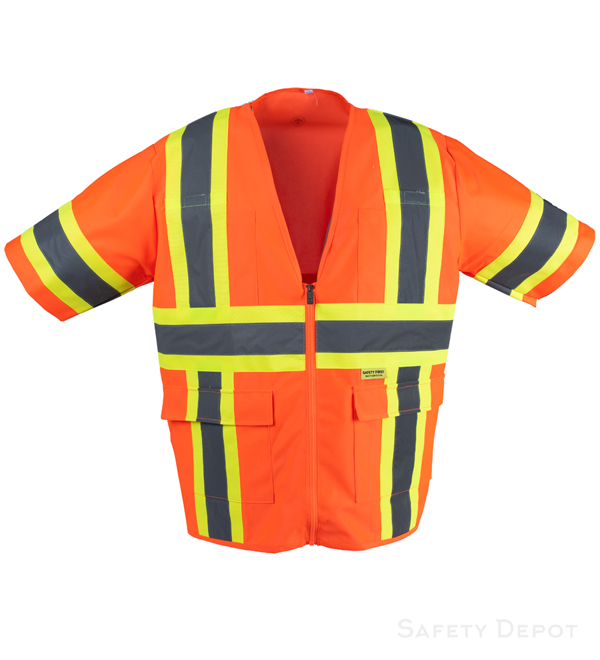 This Vest is Absolutely the best on the Market!! It's made Very Well. Deep Velcro Hip pockets are nice for the things you carry to work. Very true in size and comfortable. My Husband 's ( Now to be Retired One) Has held up for 2 + years!! I also bought a Lime Green one, very similar to this one. Very Happy with both. If you ship FedEx Smart Post your in for a Long Wait but otherwise Very Pleased!! From sheryl wampler of lucerne valley, California on 3/2/2016 .